Komori Koe is a batgirl who is a newcomer to monster kindergarten! She's a little older than the other students, but starts fitting in with the other students right away. They may only be little monsters learning about the human world right now, but one day they'll be all grown up and headed for world conquest! Hagoromo Maki is going to an all-girls high school, a special one that allows its students to commute by plane! She and her first friend at school, Hasegawa Motoko, have found a plane and fixed it up for themselves to fly! However, it turns out that it was the plane used by a legendary pilot who protected the airspace for their school, and their school's ace pilot does not approve of them having it. Will Maki be able to fly and protect the air for their school? 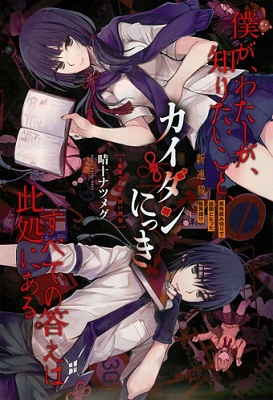 Kaidan Nikki - If you're in the mood for a supernatural mystery with some action thrown in, then you may this manga right up your alley. 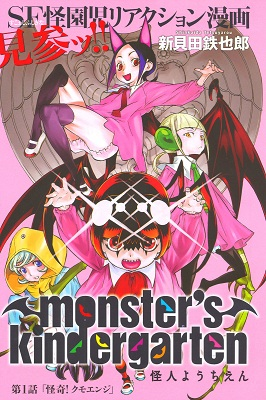 Kaijin Youchien - If you want to see the shenanigans of little monsters growing up in school, then you may want to check out this manga instead. 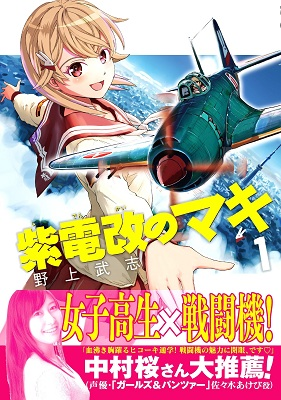 Shidenkai no Maki - If you like a mix of girls, action and planes, then this may pique your interest. If you haven't done so already, check out the scanlations of the manga from previous shout outs which have been recently scanlated: martial arts action manga Kengan Ashura (MH link), supernatural school life action manga Inukai x Tribe (MH link), mature supernatural comedy Wsamarus 2001 (MH link).